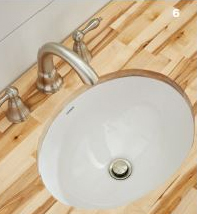 EXCEPTIONAL STYLE WITHOUT SACRIFICING PERFORMANCE. 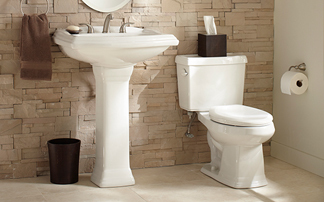 Gerber’s decorative product collections have something to fit every design. 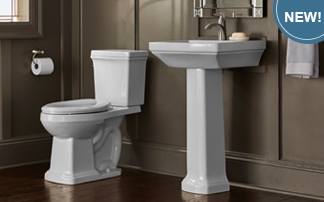 If you are looking to add a sleek, sophisticated, elegant, or transitional touch to a bath or powder room, Gerber has something that will fit any personal style. 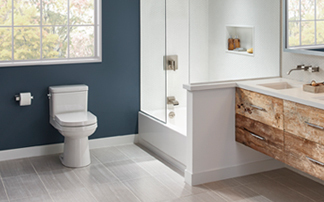 Learn more about our decorative suites below. 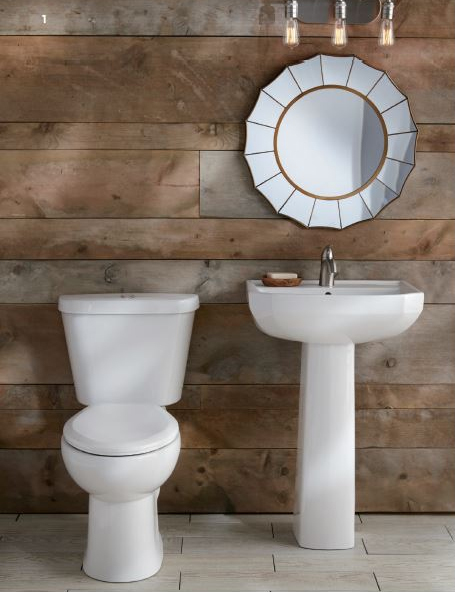 Add a touch of simplicity and grace to any powder room with the NEW Hinsdale™ Suite from Gerber. 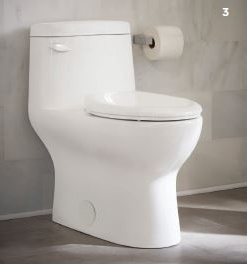 Two pedestal sink sizes offer design flexibility while the toilet is powered by the innovative QuietClean flushing technology, which delivers one of the quietest and cleanest flush on the market. 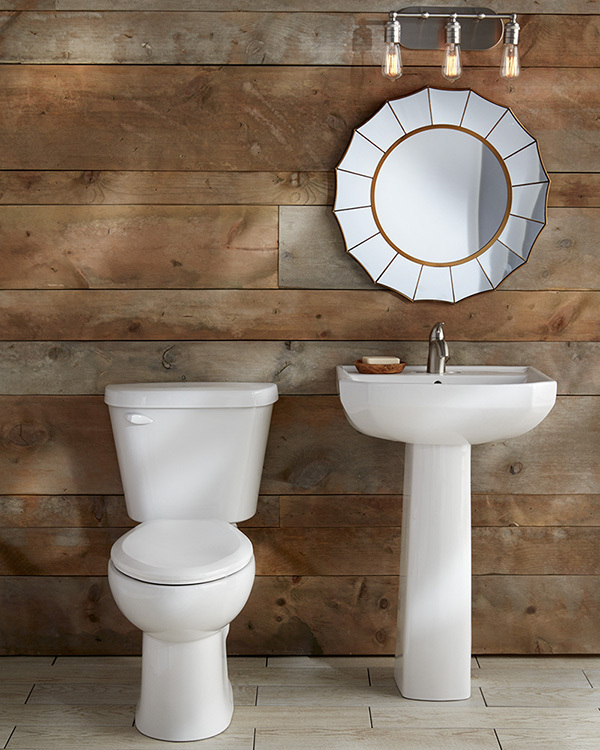 Designed with water conservation in mind, the sophisticated Wicker Park™ suite provides the ultimate in contemporary design and product performance, transforming the average bathroom into an exceptional design statement. 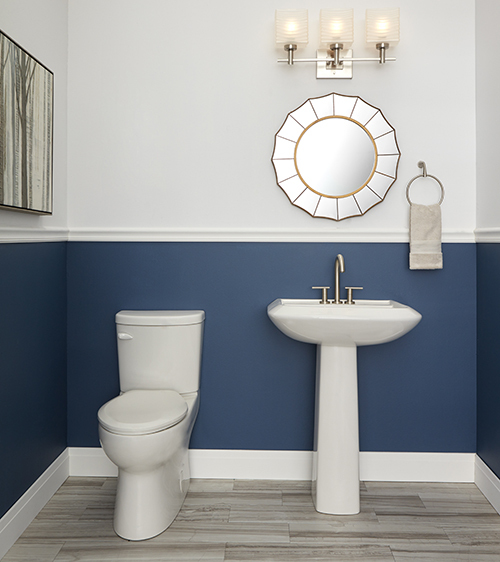 The Logan Square™ Suite was created with simple, intentional design elements in mind. 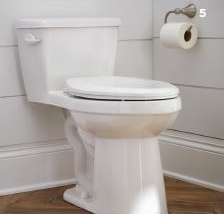 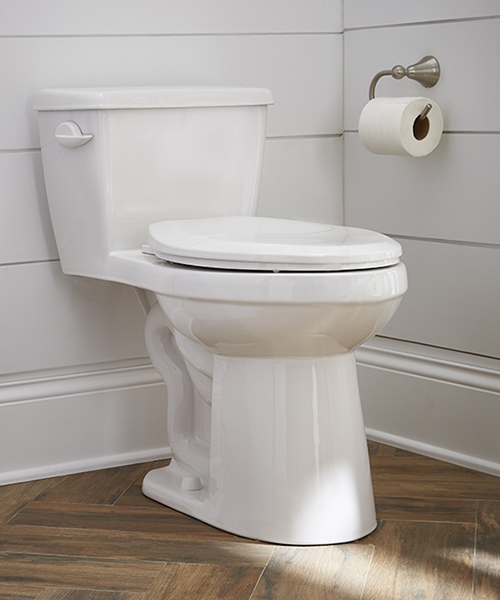 The tank and base of this two-piece high efficiency toilet feature layered rectangular angles for a look that can be carried through to matching sinks and faucets. 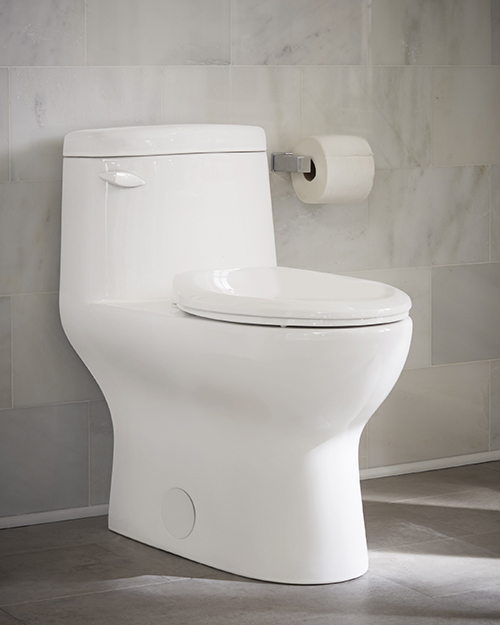 The Blaze™ collection brings a contemporary look with a sleek design and crisp straight lines. 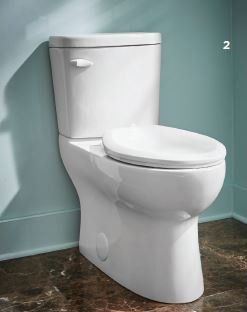 The Quick Action 3˝ flush valve and dependable Fluidmaster® fill valve makes this suite a perfect fit for any bathroom. 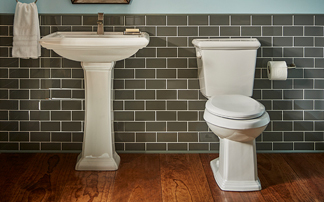 Clean lines and square edges are traits of the dignified Allerton™ Suite. 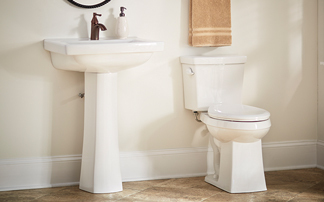 The elegant traditional design and its quiet, high performance toilet make this the perfect upgrade to any bath or powder room. 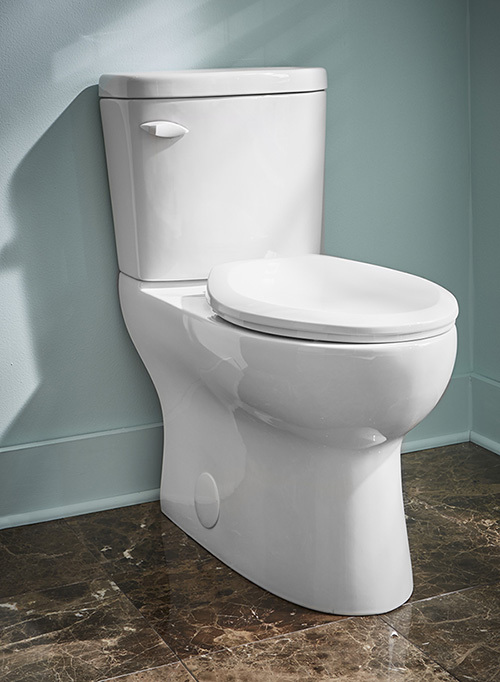 As functional as they are beautiful, Gerber decorative toilets deliver a full complement of features including ADA height, high efficiency performance and WaterSense® compliance. 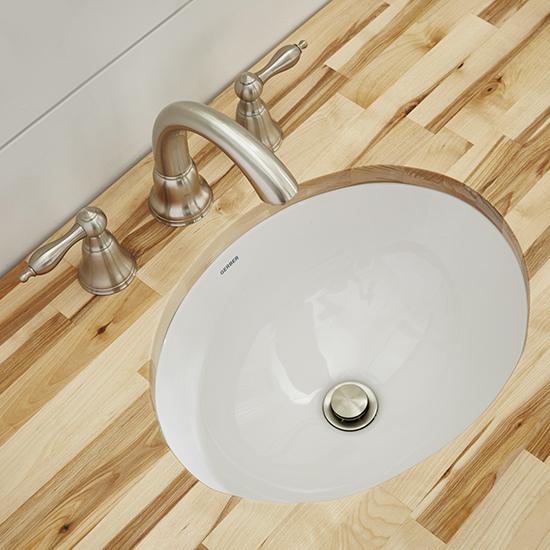 Gerber decorative sinks offer a wide variety of shapes and styles, giving your bathroom an additional design touch that adds form to function.